Chichén Itzá is an incredible archaeological site located in the city of Mérida. In ancient times, it was the most important political, economic and religious center of the Mayan civilization. Elected one of the 7 new wonders of the world on July 7, 2007, this site fascinates tourists by its architectonic beauty. Also known as “the city of sorcerers”, Chichén Itzá is an ancient Mayan city located in Mexico. It has been abandoned several times, however it has a rich cultural footprint from the various peoples who inhabited it. Even today, this city is one of the most important and most visited archaeological sites in the world. According to the archaeologists, Chichén Itzá in its beginnings, was a small town formed by small cabanons built around the well of cenote Xtoloc. It was not until about 325 AD that Chichén Itzá began to take its current form, with the construction of stone temples that are known throughout the world. This is one of the must-see sites on a visit to Mexico. visit to Mexico. Chichen Itza contains mysteries and inestimable secrets that are still waiting to be discovered through the many achievements made by the Mayans. For example, it has been proved that each of the temples that are in the city was built according to the position of the stars and planets. The same is true of the castle which records the equinoxes and the summer solstice. Another recorded case, the Observatory, records the cycles of the moon, which, along with the positioning of the sun, served as indicators of planting season and harvest. Recently elected one of the Seven New Wonders of the World, Chichén Itzá is one of the most important indigenous facilities of all American civilizations. Indeed, the magnificent architectural treasures found in this city testify that the people who lived there had advanced knowledge in astronomy, mathematics and even acoustics. 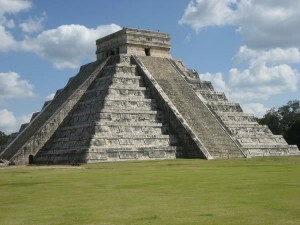 It is also one of the best preserved archaeological sites in Mexico. A true gift for the world, it must be preserved for future generations. This imposing pyramid known as “Castillo” is dedicated to one of the most important Mayan divinities: Kulkucán or the feathered serpent. It is the most spectacular monument of the site. What fascinates this pyramid is that the number of its steps corresponds to the number of days of the Mayan calendar 360 days. Located opposite the Great Pyramid, the observatory, also known as a caracol or snail in Spanish, allowed the Mayans to study the movement of the stars of which they had a very thorough knowledge. It also allowed to see the planet Venus attributed to the god Kulkucán who is the main God of the Mayan people. 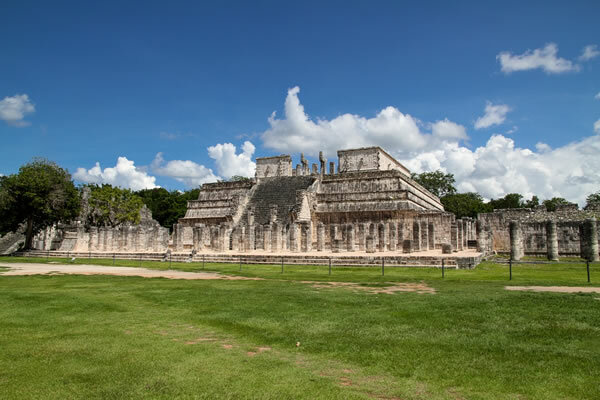 The Temple of the Warriors and its thousand columns are located a few steps from the pyramid of Chichén Itzá. This temple owes its name to the representations of warriors who are engraved on its columns. At the top is the room of the temple. It is preceded by a portico whose roof has disappeared, and whose pillars end at the head of the serpent. On the entrance to the portico is the statue of the god of rain “Chac Mool”.